I have had a passing familiarity with some of the games I’ve written about here in these articles: I had picked up a controller and fiddled with Metroid before I sat down to play it in earnest; I had actually made it a fair way into Ocarina of Time before I went back and decided I needed to finish it to understand it better. 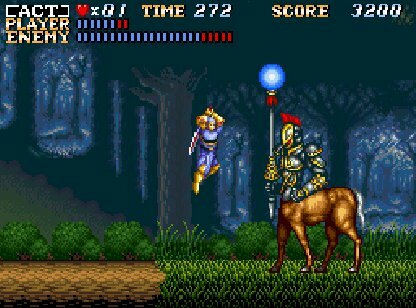 ActRaiser is different. This one I went into blind. Well, maybe blind is a bit of an exaggeration. 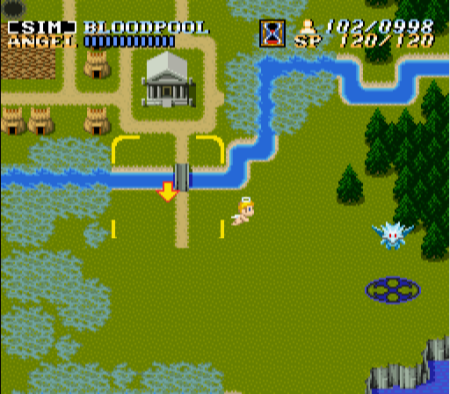 I knew that the game was divided into platforming sections and “simulation” sections, and a friend had once (aptly) described it as “Wizards and Warriors meets Populous,” but no one had told me how delightfully and expertly the two different modes of play were intertwined. It’s simple, it’s elegant, it’s compelling. So here’s the deal, in case you’re as in the dark about ActRaiser as I was: You play the role of a god who, with the help of a tiny cherub secretary (who I’m going to pretend is Pit from Kid Icarus), frees the land from monsters (by slicing them in half with your sword) and then helps primitive civilizations to spread and settle a given region (by giving them marching orders while fending off monsters). The dirty secret to ActRaiser is that, taken separately, neither of these modes of play are particularly special. Don’t get me wrong, they’re fun to play–the platforming has tight controls and cutting enemies to shreds with your sword feels real good! You will have a good time doing it. Doesn’t hurt that your sword makes a sound like a men’s chorus chanting in Latin when you swing it. All I’m suggesting is that these platforming sections aren’t Castlevania. They’re not Mega Man. They’re not even Ghouls and Ghosts, really (and thank goodness for that). They’re good! They’re just not genre-defining. Likewise, the “simulation” sections aren’t exactly SimCity. They’re not even Populous, actually–all you’re doing is telling your little worshipers where to build so they can go stamp out the monster nests and occasionally using your phenomenal cosmic powers to bring your little dudes some favorable weather. So if both sections of the game aren’t unique or compelling on their own, what makes ActRaiser special? The answer, of course, is the way that these two sections play off each other. 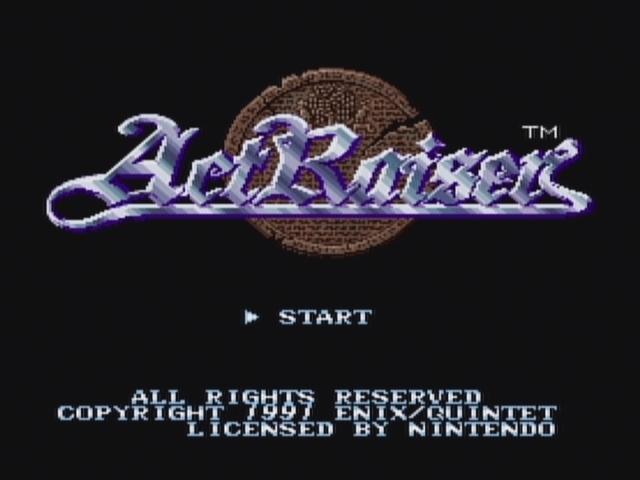 Like many 8-bit and 16-bit games, ActRaiser gives you a score for your platforming sections. With every bad guy you kill, with every power up you collect, you get another couple hundred points. You’ll also get a bonus at the end of every level for how many lives you have left in your inventory. Here’s the difference between ActRaiser and just about every other game that has this same mechanic, however: in ActRaiser, your score actually matters. I know, right? Weird! 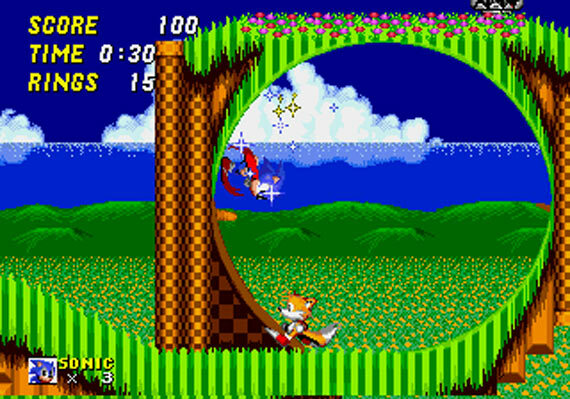 Think about it: When was the last time you actually cared about your score in Sonic the Hedgehog? Sure, you’ll get an extra guy every 50000 points, but you’re not about to go out of your way to try and bust some extra baddies just to work toward that incentive. And, of course, you shouldn’t–the primary draw of Sonic is speed. So why does Sonic give you a score at all? In ActRaiser, your score directly influences the potential population of the region you’re about to cultivate. The higher your score, the higher the population can be. This is exceedingly important, because the total population of your world is the number that functions as “experience” for your sword-wielding avatar. In other words, how well you do at platforming directly affects how well you can do at the “simulation,” and vice versa. If you don’t take the time to expand your towns to cover every possible inch of the map, you’ll never level up, and the later levels of the game will be impossible to conquer. ActRaiser is perhaps the only game that I can think of whose level cap is set by the player’s performance. If you max out your score in the platforming levels, I think you can reach a global population of 6000 and go into the final confrontation at level 20. That wasn’t my experience playing it–I had all my towns at their “max” population going into the final battle, but I was just shy of level 17. This simple loop created by the game is absurdly compelling. I definitely took the time to linger in levels, slashing monsters until I got my score as high as I dared before going into the boss area–a real gamble, considering the game’s difficulty curve: if you do well in the beginning and level up throughout, the game starts out challenging and becomes slightly easier as you progress; if you’re reckless, it can turn brutally difficult on you. Nevertheless, the incentive to get a high score so that I could reach a high level made me excited–it creates tension in the player that’s a whole lot of fun! The aesthetics and “story” aren’t particularly engaging, but the game makes it blissfully easy to turn the message display speed all the way up and breeze through the dialogue and menus. 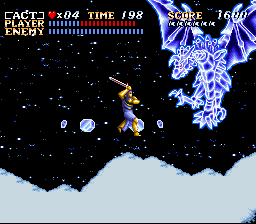 And perhaps one of the great things to recommend ActRaiser is its length: Longer than your usual platformer but shorter than a proper RPG, the game is manageable and doesn’t drag. Should you go back and play ActRaiser? Yes, emphatically yes. It’s not very long, it’s a reasonable difficulty, and it’s really fun. It’s not the most complex game you’ll ever play, but there’s strength in its simplicity, and its character progression system is a hook that makes it very compelling. You can get it in the Wii’s Virtual Console real easily, though short of emulation or finding a real authentic SNES copy in the wild, that’s about the only place it’s available at the moment. And, of course, if you like the combination of action and world-building, ActRaiser isn’t totally unique: there’s more where that came from.